The Green Mile is a 150 foot long room where pot plants are kept in their vegetative stage. The plants receive 18-24 hours of light per day. The plants are in a growing stage, not flowering. Clippings are taken to create the next generation of plants. Medicine Man Denver is the single largest legal medical and recreational marijuana dispensary in Denver, Colorado USA. Their 20,000 sq. ft. facility will soon double in size. 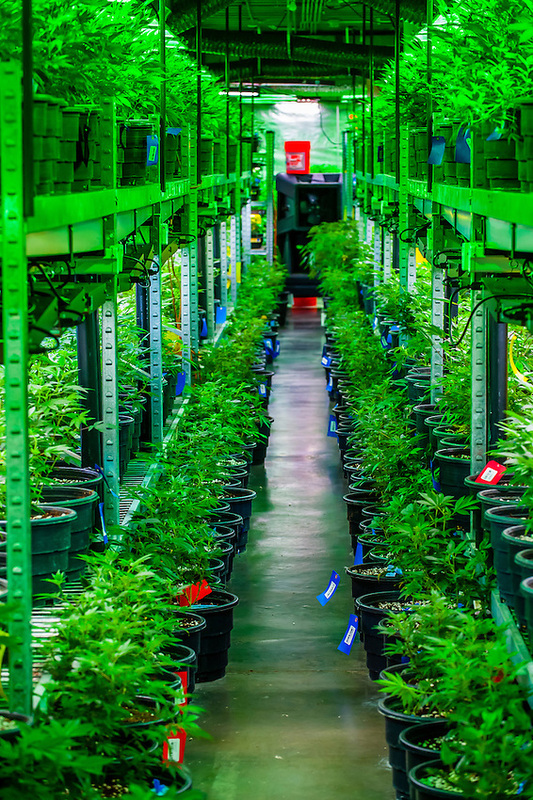 Radio frequency ID tags and 65 video cameras allow the State of Colorado to track inventory through the growing process and all plant weight is accounted for. Medicine Man won the High Times' Cannabis Cup for best sativa (Jack Herer). 20-30 strains are available for sale daily.